An electric car conversion kit will allow you to run your car which otherwise you will drive using gasoline into an electric vehicle. Most of the kits are available in the market with vendors; you can get all the components if you are interested in retrofitting your automobile to run on electricity. These kits can be installed by you without any outside support. Before you actually go to buy the kit, you must research well and find the cars which are more suited for such a conversion. After having installed the electric kit, your car should run as per your needs. Before you actually decide to convert your vehicle into an electric vehicle (EV), here are some tips which you should keep in mind so that you get the most out of your “green” car. Majority of the cars have a limit of driving from 30 and 100 miles, this is affected by the driving conditions and weight of the car. The car suits those who have to commute in this range and conversion will highly benefit them. There are other options also as those who have two cars and one is used only for short trips, conversion to electric kit is the best alternative. This will save a huge amount on the costs of gasoline annually. For those who have to commute more than 30 miles one way and the terrain are rough and hilly, the conversion will not suit you. But for those who have a driving needs of around 20 miles and the road is good and other conditions are normal, the conversion can be really beneficial for them. Remember that electric cars have to be charged overnight so that you can use it next day. For charging you need a garage or a carport which has suitable electrical outlets. Most of the car can run up to 25 miles per gallon ratio; the top speed is as good as that of gas powered vehicles and can accommodate four passengers comfortably. The normal cost is within $10,000 but batteries need to be replaced annually and the cost is around $300 each. Before you go for conversion you must keep all these expenses in mind. Those who are interested to know about the conversion of their vehicles into pure electric vehicle, they can attend various schools which teach the subject of EV conversion. 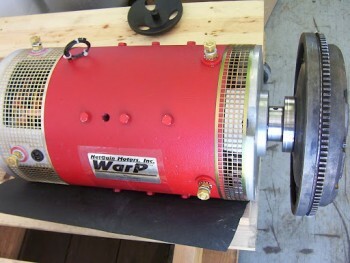 Such courses are quite useful and will help you to reduce the mistakes when installing the electric conversion kit. They also give you a fair idea about the total cost and actually help you in finding the suitable kit. If you find it difficult or do not have mechanical ability, you can seek the help of an expert mechanic who can help you in the installation process. There are many companies which are in the business of converting your car to an electric vehicle; if budget permits you can also seek their assistance. There is a lot of material available on the internet, you may browse online and get the desired information. Once done, you will have great satisfaction in terms of saving money and also contributing to the environment. 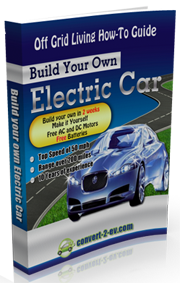 For more information on homemade electric car, check out the Convert2EV ebook by Les and Jane Oke. The Okes are from Canada and they have been living a green lifestyle for more than 15 years. The guide was written based on their experience on retrofitting automobiles to run purely on electricity. For more information on electric vehicle conversion, click on the link below to visit the Convert2EV web site.